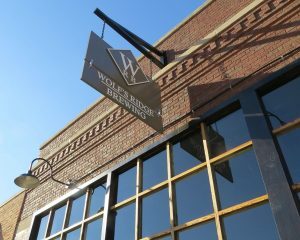 Earlier this year, Wolf’s Ridge Brewing opened up on the cusp of downtown at 215 North 4th Street. 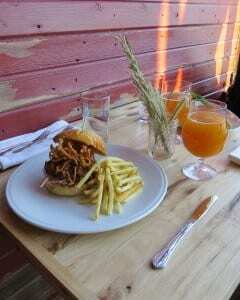 Since then, Wolf’s Ridge has gotten some pretty high marks from the foodie-type folks in town. Columbus Underground and Drink Up Columbus both give it rave reviews for ambiance, food, and of course, beer. 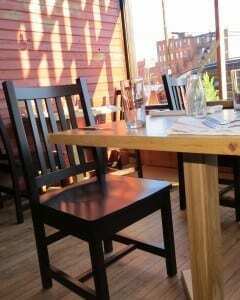 Ten weeks later we were thrilled to deliver 100, Mission Slat and X-Back chairs to Wolf’s Ridge. 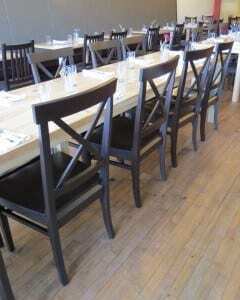 Each was proudly made by our fine craftsmen and guaranteed to last meal after meal and pint after pint. 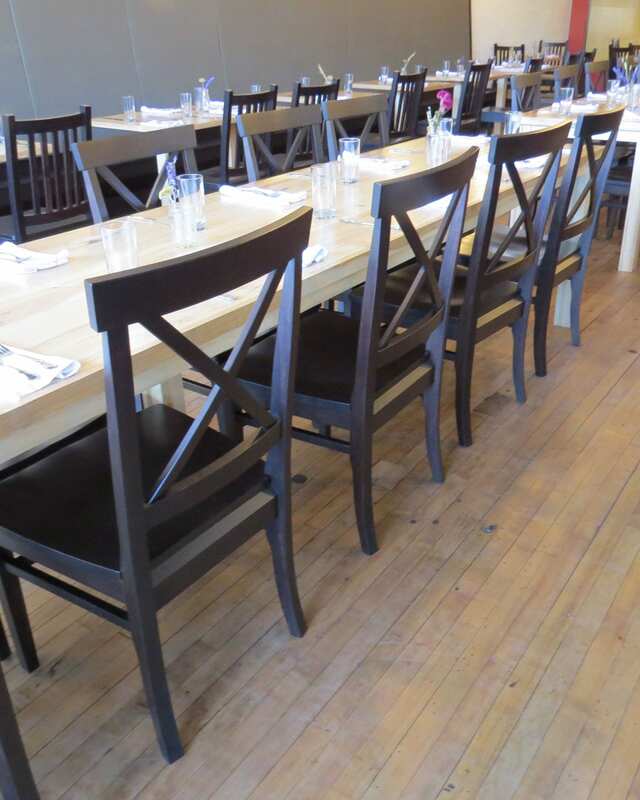 We’re happy to say that not only have we delivered an outstanding product to Wolf’s Ridge, but we also provided value; our Ohio-built, hand-stained chairs were less expensive than comparable chairs at a local restaurant supply store. Shopping local doesn’t have to mean expensive. created for Entrepreneur Magazine, shows clearly how supporting local businesses impacts a community—with job creation and increased economic activity tops on the list. 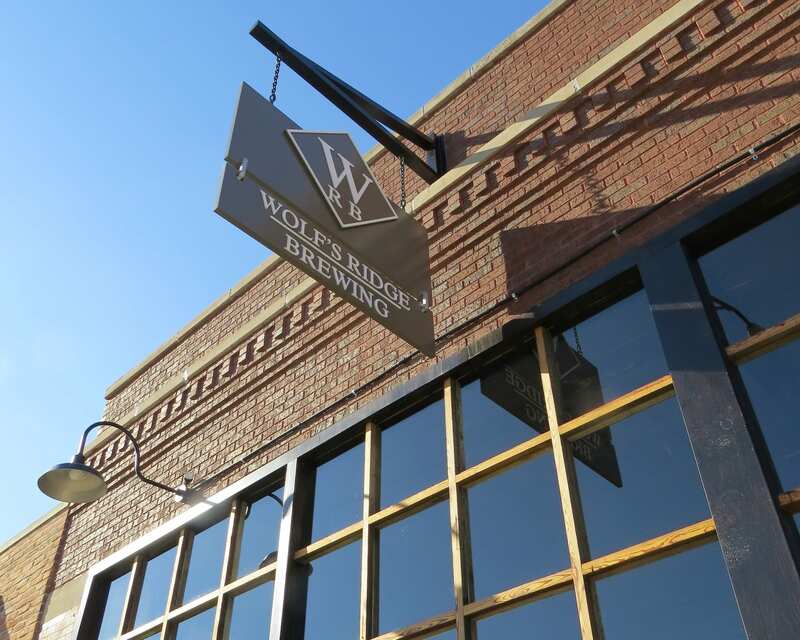 So, keep the cycle going and the next time you’re in the mood for a beer, head to Wolf’s Ridge. 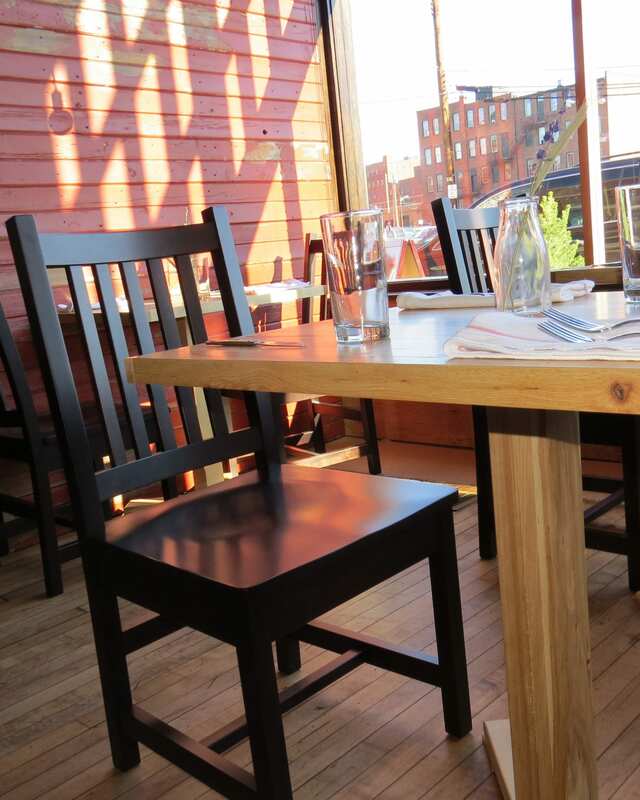 You’ll love the atmosphere with its rustic-industrial vibe, the food (we recommend the BBQ sandwich) and of course, the brew (don’t miss a taste of the Harvest Wheat). This holiday season, American Express and Amish Originals are asking everyone to Shop Small—we commend and thank Wolf’s Ridge Brewery for doing exactly that.